Well the ‘Just For Laughs’ Festival in Montreal certainly had a lot going on, including on location shooting of Premiere’s new film ‘The Comedians Guide To Survival’. The shoot in Montreal lasted a few days (in July) and official principal photography is due to commence this month in London. The film starring ‘Inbetweeners’ actor James Buckley, follows the story of James Mullinger’s journey (Buckley) around the world to discover the secret of comedy. ‘Comedians Guide’ is being directed by the award winning Mark Murphy and produced buy Fayçal Hajji of FH Studio. James Mullinger himself is starring in the feature as character Brad Macey, all of whom can be seen pictured on day one of filming below. According to the official Comedians Guide Facebook page, “…it was a fantastically successful first day filming” and we’re sure it was! Stay tuned for more updates on this exciting feature. 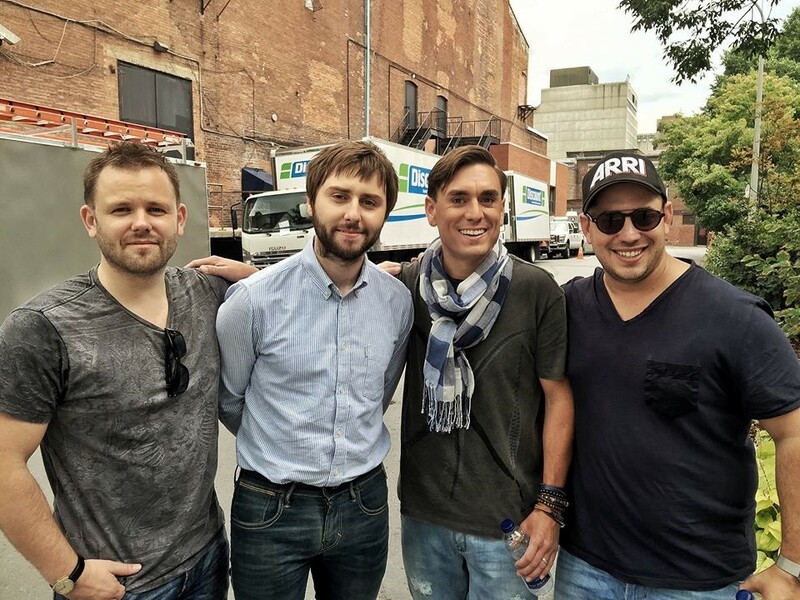 Left to right: Mark Murphy, James Buckley, James Mullinger & Fayçal Hajji.